One important feature is that the SX/DX-64 lacks a cassette interface ! People who upgraded from the classic C64 couldn't play their games stored on tapes ! Some programs that used the tape buffer for storage (of sprites say) had problems too. 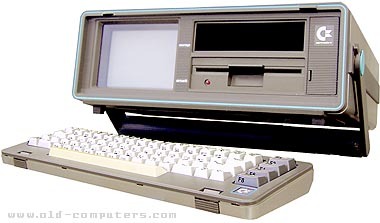 The SX64 was not the only machine that Commodore made in this chassis, there was also the SX500, which was an Amiga in the SX case (see 'More pictures'). see more Commodore SX/DX 64 - Executive computer Ebay auctions !